The continued story of how Alaska Airlines helped avert a holocaust in the Middle East. This month: Iraq. This is a follow-on to the post I did last month about the role scrappy little Alaska Airlines played in rescuing tens of thousands of nomadic Jews from Yemen in 1949. Alaska partnered with the brand-new Jewish state to airlift an entire ancient people group of Jewish nomads to Israel in its steel "eagles" (a.k.a., WWII surplus aircraft). Tens of thousands of nomads who had never seen an airplane were induced to board one, after their rabbis reminded them of God's promises that they would be carried home by Gentiles (Is 49:22, above), and mount up on wings like eagles (Is 40:31). But the Jewish population threatened by pogroms wasn't limited to Yemen. The next group facing a potential holocaust resided in Iraq, where Jews had lived comfortably since the Babylonians conquered Judah more than 2500 years earlier. But during WWII, Hitler’s Nazism was eagerly adopted by Iraqi Muslims. 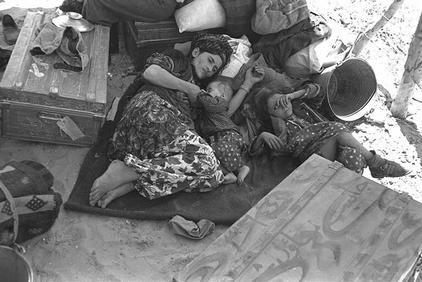 In May 1941, in the aftermath of a failed coup by pro-Nazi militarists, the Iraqi Jewish community was the target of a vicious pogrom which became known as the Farhud (“violent dispossession”). I'll let New York Times bestselling author Edwin Black carry the story. Hundreds of Jews were cut down by sword and rifle, some decapitated. Babies were sliced in half and thrown into the Tigris river. Girls were raped in front of their parents. Parents were mercilessly killed in front of their children. Hundreds of Jewish homes and businesses were looted, then burned. The carnage continued unabated for almost two days… Throughout the last years of the war, the murder spree was celebrated across the Arab world and in German ceremonies. Like their European brethren a decade earlier, the Iraqi Jews told themselves these difficulties would pass. But after Germany’s defeat, Iraq and other Arab nations became havens for escaped Nazis. A German newspaper estimated that 2,000 German Nazis lived happily under state protection in Egypt alone. Nazis also attained positions of power and influence in Syria, Lebanon, Iraq and Iran. Once the UN vote [that established Israel] registered, a new anti-Jewish campaign exploded in Iraq. This time, it was not just pogroms but systematic pauperization, taking a cue from the confiscatory techniques developed by the Nazis. Jews were charged with trumped-up offenses and fined exorbitant amounts. All the while, mob chants of “death to the Jews” became ever more commonplace. With the Arab coalition’s resounding defeat in the 1948 Israeli War of Independence, antisemitic fervor continued to escalate. Zionism itself now became a crime, punishable by up to seven years in prison. As every Jew was thought to be a Zionist, every Jew was thereby criminalized. In urban sweeps, thousands of Jewish homes were searched…. Hundreds of Jews were now arrested, forced to confess under torture, punished financially, and sentenced to long jail terms…. Executions and confiscations followed. In October, all Jews — an estimated 1,500 — were summarily dismissed from their government positions…. Many purged Jewish government employees, highly skilled and formerly well paid, were now destitute and reduced to selling matches on the streets…. The Iraqi government ultimately decided to expel its Jewish populace. And it did so with malice. The window of opportunity to emigrate to Israel opened for just a year. Jews had to register to emigrate. Once registered, their assets were effectively forfeit. And if Jews who registered failed to leave within fifteen days? There would be “concentration camps.” Germany all over again. 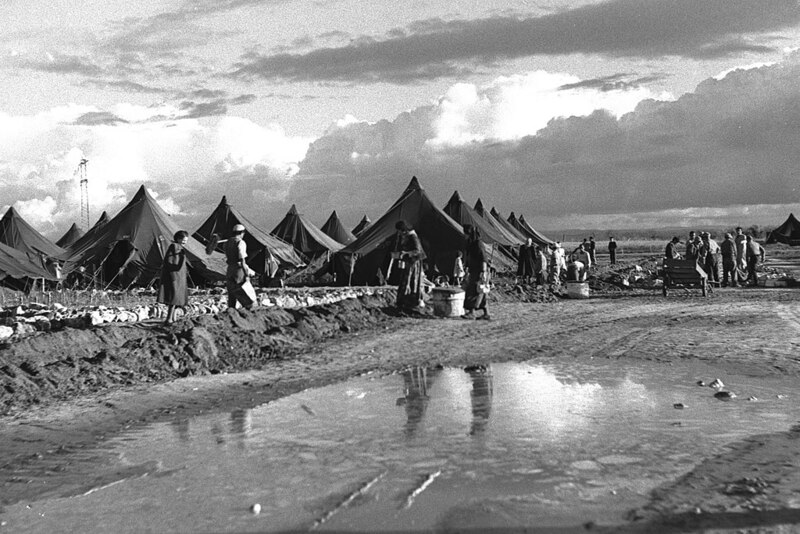 Rather than the 10,000 emigrants Iraq had anticipated, Israel planned for 100,000. And with newly-destitute Jews* sleeping on Baghdad streets, selling their blankets for food, and threatened with concentration camps, the land route wasn't expeditious enough. An emergency airlift was needed once more. * Estimates of the value of Jewish assets seized by the Iraqi government range up to $300 million in today’s money. 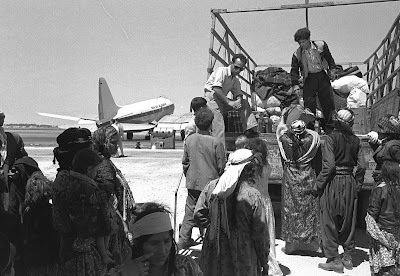 Iraqi Jews arrive in Israel. Near East Air Transport plane stands in the background. Israel turned again to Alaska Airlines’ Wooten and Maguire, who played such prominent roles in rescuing the Yemeni Jews. The Mossad called in its most reliable partner for airlifting Jews: Alaska Airlines…. El Al, Wooten, and Alaska formed a new airline with a new identity called Near East Air Transport (NEAT). Israeli ownership was hidden, so NEAT appeared to be strictly an Alaska Airlines venture…. On May 19, 1950, the first 175 Jews were airlifted out of Iraq in two C-54 Skymasters…. [The operation] became known by the original code name, Operation Ezra and Nehemiah, for the prophets who had led the Jews of Babylon out of exile back to Israel millennia before…. Iraqi Prime Minister Nuri Said sensed a new opportunity. 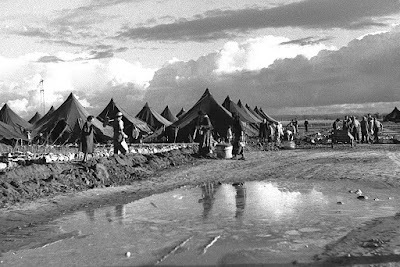 Israel’s nascent infrastructure seemed ready to collapse under the weight of absorbing holocaust survivors from Europe, as well as refugees from Eastern Europe and from the Arab world. There weren't enough dwellings to house them. Were there even enough tents? Said reasoned that if he could force Iraq’s destitute Jewish population down Israel’s throat, he could cripple or even bankrupt the tiny nation. Said demanded that Israel absorb 10,000 refugees per month, every month… As of May 31, 1951, no more exit visas would be issued. If Israel would not accept these stateless enemies now, the concentration camps would be readied. The flights increased, day and night, using twin engines, four engines, any craft available, through Nicosia or direct to Tel Aviv — as many as possible, as fast as possible…. The crowds gleefully stoned the trucks that delivered the refugees to the airport. The Jews were mocked every step of the way…. Between January 1950 and December 1951, Israel airlifted, bused, or otherwise smuggled out 119,788 Iraqi Jews — all but a few thousand. This scenario that played out in Yemen and in Iraq would soon be repeated across Lebanon, Egypt, Morocco and Libya. During its first years, the infant Jewish state, with a total population of only one million in 1949, absorbed some 850,000 Arab Jews from the surrounding nations. I stepped away from a marketing career that spanned continents to write what I love: stories of reckless faith that showcase God's hand in history. 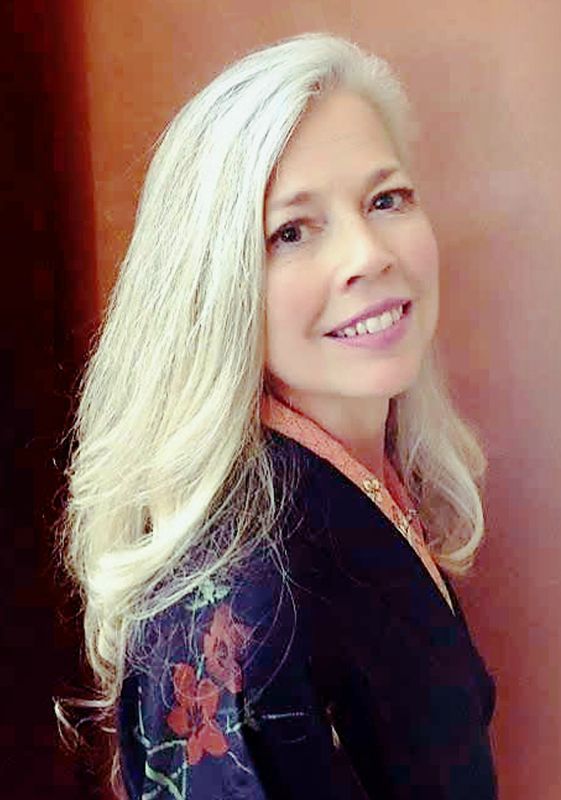 I'm so excited to work with the all-star team at Mountain Brook Ink to launch my debut novel, The Plum Blooms in Winter, this December! Inspired by a remarkable true story from World War II's pivotal Doolittle Raid, The Plum Blooms in Winter is an American Christian Fiction Writers' Genesis Contest winner. The novel follows a captured American pilot and a bereaved Japanese prostitute who targets him for ritual revenge. Please also feel free to check out my blog, Five Stones and a Sling, which hovers in the region where history meets Bible prophecy meets current events. It's rich ground--we live in a day when prophecies are leaping from the Bible's pages into the headlines! I live outside Phoenix with my husband, a third-generation airline pilot who doubles as my Chief Military Research Officer. We share our home with two mostly-grown-up kids and a small platoon of housecats. Yes, this is absolutely my passion... pointing people at all the amazing ways God is fulfilling prophecy in our day. Interesting how it was thought that the influx of Jews would paralyze Israel. Thanks for the post. My pleasure, Connie! So glad you found it interesting. :) God bless! Very interesting post. I love history and like learning about WWII facts including the Doolittle raids. Hubby and I have watched a number of movies about them. Thanks. Hi, folks! I just wanted to let you know that Noeleen won my drawing this month. Thank you for your interest!